Well, hello there! School started almost three weeks ago, therefore the sudden silence around these parts. I've been trying to write a post for the past week, but I've only had 5 -10 minutes per day to work on it, thus it's still languishing in my drafts folder (hopefully I'll get it finished this weekend, I think I'll have some time). But I decided to spend my free time today pounding out this post, because while my writing time has been severely limited by homework and lesson planning and whatnot, January was a fabulous month on the reading front. Audio books are just really working for me right now. I finished ten (!) books this month, which might be a new record for me (I'd have to check). If I keep this rate up all year (not likely), I'll read well over 100 books! Which means this is way, way above my usual pace, but fine with me. My goal is to read 75 books this year (still a stretch, given that I've not read that many books in a year since I started tracking), and while I don't necessarily ever want to be consumed by meeting some arbitrary numbers goal, or place quantity over the length and quality of the books I read, I'll admit that I love the way tracking my numbers inspires me to stay on top of my reading game. I've been able to find all sorts of pockets of time to listen to and read books that used to go to mindlessly scrolling social media or whatnot, and I much prefer this use of my time. I'm still kind of shocked that since starting my PhD program, my pleasure reading numbers have only gone up. A huge part of that is the audio books on my daily commute, but I'm finding other pockets to listen/read too, and that is making me feel a little bit more like I'm living a normal life, not a crazy busy insane one where I don't have time for my favorite things. Anyway, as you'll see, I went on a bit of a kick this month. I seem to do that occasionally (remember my Austen kick last fall? ), but this kick was of the motivational/social science/business-y variety, and I have lots of thoughts about it. The post I've been working on is actually about this collection of books, so I'll save some of my deeper thoughts and conclusions for that post, and just stick with brief summaries here. Let's dive in! The first (this year) of my social science kick. 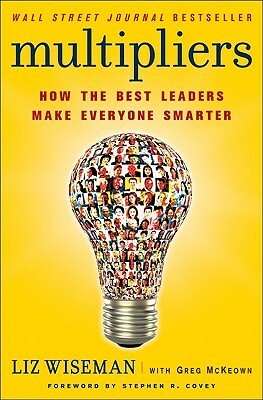 This one is pretty similar to Malcolm Gladwell's stuff, which I love. Very well written and a lot of interesting tid-bits, but I came away not quite convinced I actually want to be an "original." There's a statement or quote by somebody towards the end of the book that talks about how you have to wake up every day and choose between being content with the world, or wanting to change it. 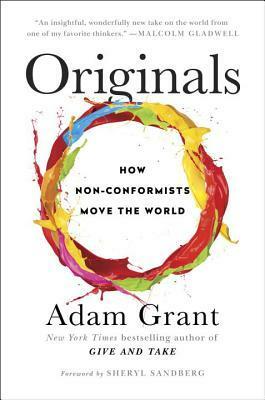 He spends a lot of time talking about how "originals" are not content with the world, they see a way to make things better and are relentless at trying to change it. And I think this is a valuable thing to be and to feel, but most of the time I think I'd prefer to feel "content" rather than always feeling angry and upset and motivated to change the world. So I guess I'm not an original. Oh well. I've been wanting to read The Once and Future King by White for a while, but it's proved a bit tricky to get my hands on an audio version of that. 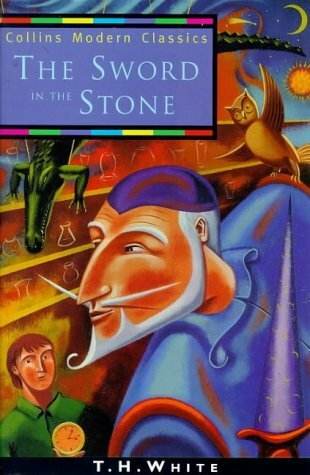 When I discovered my library had an audio version of The Sword and the Stone, I decided I might as well check it out. For reference, White, wrote a bunch of King Arthur books, starting with The Sword and the Stone, but then he edited them down and compiled them all into one novel, The Once and Future King. Reading this earlier, not-edited version was enjoyable, but my thought the whole time was "Yeah, this could use a good edit." I still really want to read The Once and Future King because I'm hoping it's just the good parts, not all the rest. I will say that I loved the Britishness of this book. The writing had a very dry humor and nostalgia about it, and it was just lovely. It was also nice timing, as I'm taking a Medieval class this semester and we're reading a lot of the original King Arthur stuff. It's fun to compare to this more modern retelling. I loved Bomb by Sheinkin, which I read a few years ago, and I've been meaning to read more by him ever since. I finally got around to it. 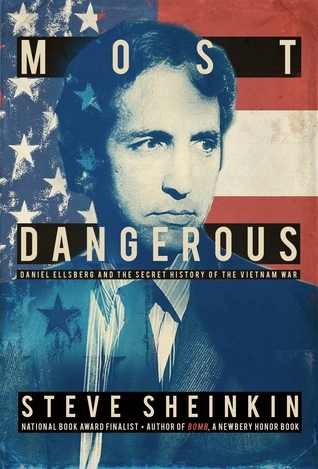 I can't say I've ever been super interested in the Vietnam War or Cold War politics, but Sheinkin knows how to make any historical story edge-of-your-seat good. This was no exception. I found this book fascinating. It was really kind of a downer, in that the U.S. government and American politics do NOT come out of this one looking shiny clean. In fact, after reading this I pretty much loathe President Johnson and President Nixon (not that I had any love for them before, but man, they were just awful people and really terrible leaders). Also, my conclusion is that the Vietnam War only happened because of this screwed up pride about these men refusing to be the first president to lose an American war (and yes, we definitely lost Vietnam). It was also so depressing to see how history seems to have repeated itself with Afghanistan and the Iraq war. Anyway, this is not the book to read if you want to come away from it feeling all warm and patriotic, but it was still a very, very good read, and made me ask all sorts of questions about what it actually means to be a good and loyal citizen. This is Book 2 in a trilogy (the first one is The Bear and the Nightingale, which I read a few months ago), and I've got to say this is one of the rare, rare times that I've liked a second book more than the first. The first book was a little weird for me, because I couldn't quite pin it down. It doesn't fit neatly in the genres I was expecting it to fit in. 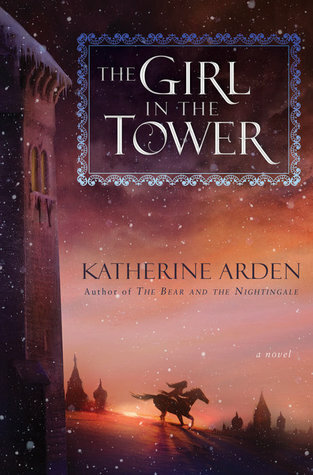 It's a historical fiction fairy-tale retelling, but it's not YA, and it's unlike any other fairy-tale retelling I've read. For one, it's way heavier on the historical detail. I mean, Arden did her research, and it shows. This is actually the part I liked the most, because medieval Russia just comes to life in these books, and it feels so real (in a bitterly cold, dirty, depressing kind of way). And there's Christianity, and monks and priests, but then there's also the old gods and spirits. And there's kind of a romance, but the book is way less concerned with the romance and way more concerned with exploring how a head-strong, fiery, independent girl deals with the oppressive patriarchy of the time, and I just really, really liked it. It's very well written, relatively clean, and I highly recommend it if good, detailed historical fiction is your thing, or if you just like a good story with compelling characters. You will learn a lot. The second book on my kick. I started this one wondering what could possibly be so interesting about "grit" that someone could write a whole book on it. I thought I had the main message down after the first chapter, and was considering skipping out on the rest. But! I'm glad I stuck it out and finished it, because she had some super interesting things to say about a lot of different facets of grit. 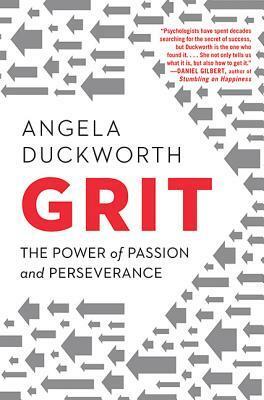 "Grit" is not one of those characteristics I spend a whole lot of time thinking about, or why it's important, but Duckworth is clearly very passionate about this concept, and she had me convinced by the end. I especially appreciated her parenting advice, and her family's policy that every day everyone must do one hard thing. There was some very thought-provoking stuff here I'll write more about in my next post. The third book in my kick. Once again, I started this one thinking it wasn't for me and maybe I should skip it. Wiseman's audience, after all, is business leaders and executives (which I am not), and again, I kind of thought I probably had the gist of her argument down after the first chapter. However, once again I was glad that I stuck it out and finished it, because there really was a lot of interesting information here (although this book had the unfortunate tendency these types of books often have of repeating a lot of their information in chapter summaries, and the like). The argument here is that some leaders act as diminishers, intentionally or unintentionally dampening the people under them so they are less motivated to work or contribute meaningfully. Conversely, there are multipliers who not only manage to inspire people to work at their full capacity, but actually seem to grow people's intelligence and abilities. 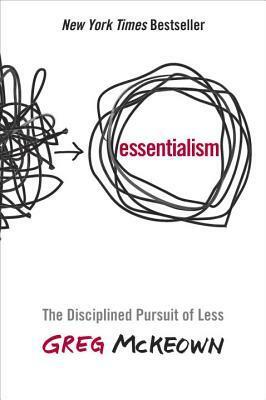 While Wiseman focuses specifically on executive leaders, I spent much of the book thinking about how I could apply these principles as a parent and a teacher. Very interesting stuff. The fourth book in my kick, and probably my favorite. At this point, I was getting pretty tired of this genre. There'd been a lot of repetition of ideas, and this book had some of that too, but I really liked the angle he approached his advice from. I would call this book secular spiritualism, and while it is once again aimed at a more business/executive type audience, this one was far more universally applicable. Definitely recommend this one. So, I've mentioned this before, but I always think twice before including a book I read for homework here, mostly because I end up reading a lot of obscure 16th century plays and poetry that I don't think you guys would be interested in hearing about. But like I said earlier, I'm in a Medieval class this semester, and we read this translation of Beowulf the first week, and I really, really liked it, so I thought I'd mention it here and let it "count." 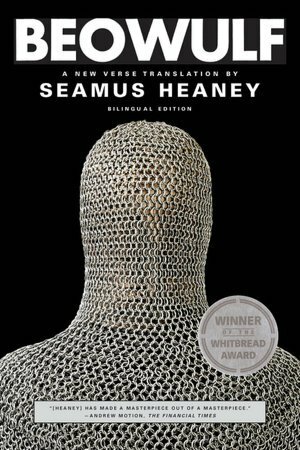 On the off chance that any of you are interested in reading this Old English epic poem, I'm going to throw a plug in for this particular translation, because Heaney did a fabulous job at making it both accessible and poetically faithful to the original. If you love The Lord of the Rings or any of Tolkien's other works, I highly recommend reading Beowulf if you haven't already, because it's very clear this was an influential text on Tolkien, and I really enjoyed seeing what he drew from this poem to create his Middle Earth world. It's very interesting. This is my book club's pick for next month, but I read it early. I read The Red Tent by Diamant a few years ago, and remember liking it pretty well, but this one is very different in time period, tone, and style. That's not a bad thing, this one is lovely and sweet in it's own way, but I don't think it's quite as good as The Red Tent. 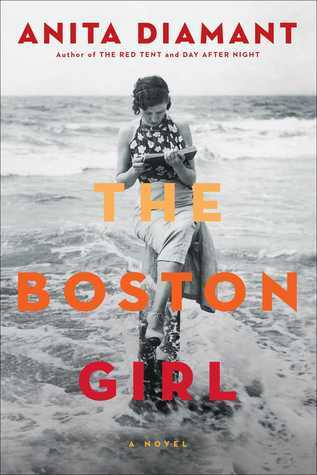 That being said, if you're interested in a sweet second-generation immigrant coming-of-age story in the early 20th Century, this is a good pick. It's got a few hard topics and situations in it, but handles them in a way that doesn't feel super depressing or gritty. This is a general recommend. 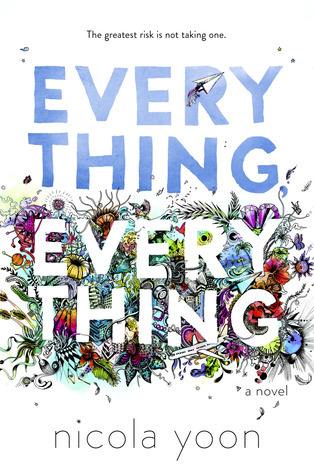 This one's gotten a lot of buzz in YA circles for a few years now (they just made it into a movie, I think), and since it's been a while since I've read contemporary YA I thought I'd try it out. Ugh. Don't bother is the short answer. I nearly didn't finish this one. The writing is actually pretty good, but the plot is so stupid. I mean, just ridiculously stupid. I'm so done with this book I don't even want to write anything else about it. So anyway, it was a bit of a bum ending to an otherwise fabulous reading month. Have you read any of these? I'd love to hear your thoughts about them! I do recommend Originals, I think you'd like it. It's got tons of interesting stuff in it and made me think a lot.